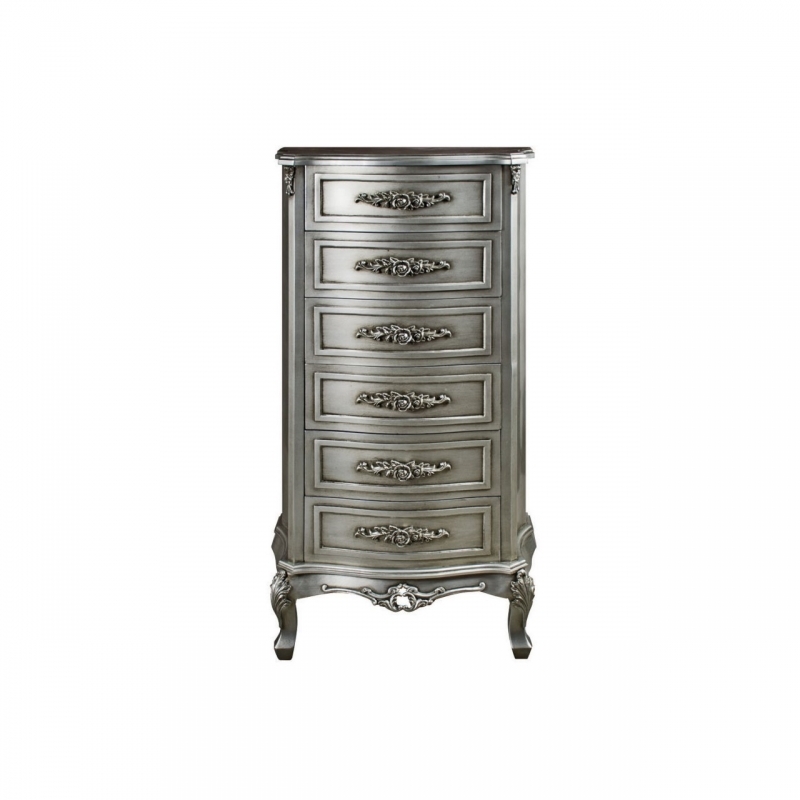 Silver Rose 6 Drawer Chest-The essential bedroom furniture. Chest of drawers are not only practical addition to the bedroom for storage but also a style statement. Multiple drawers provide ample storage space while beautiful and unique details enhance the interior of your room.